How many births are at home? 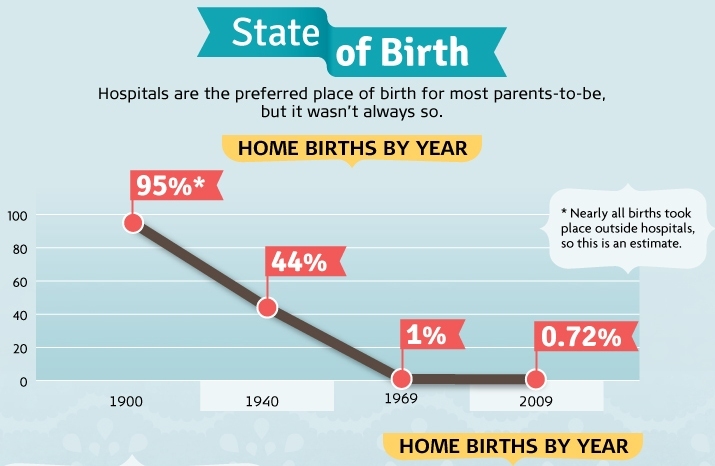 I would like to see this trend reversed so that we see almost all births at home again! 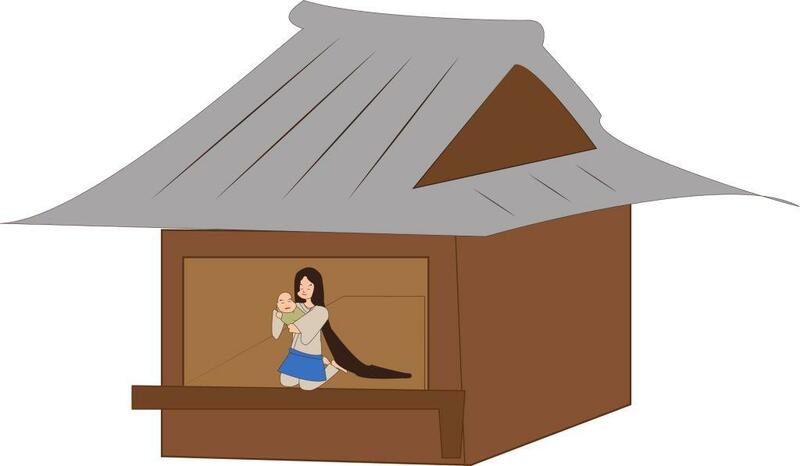 The female body is well designed for birth. We all need to realise this and reverse the trend!! 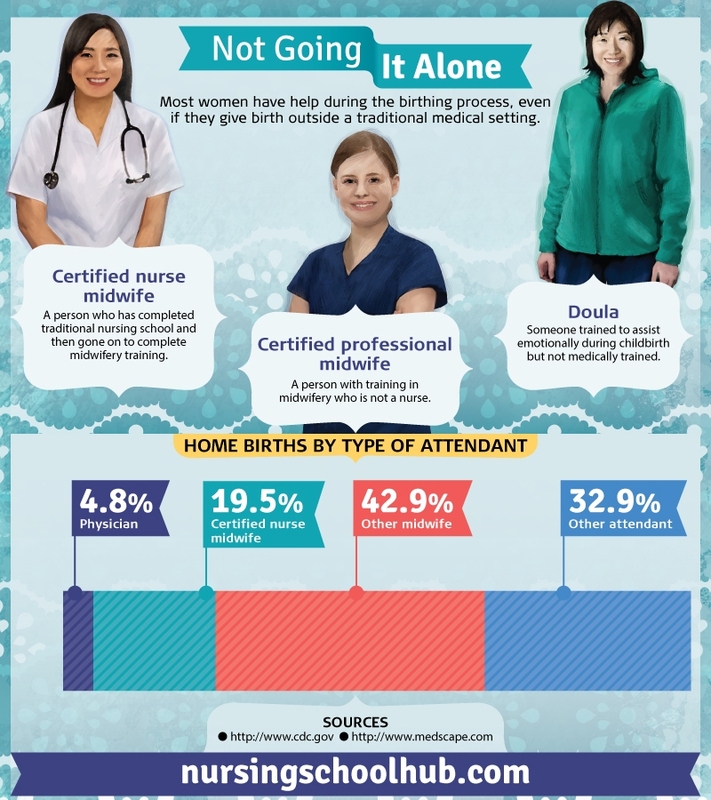 Most will choose a home birth attendant, especially for their first birth. Unassisted home birth is also possible, with no attendant, which is what we chose for my second son. The book Unassisted Childbirth by Laura Kaplan Shanley brilliantly supported his mother. Also see her Unassisted Childbirth website. For years, we have been told there is NO advantage to organic food. By the way, I think that organic should be a human right rather than a Rich World luxury. Now the truth is coming out that organic food is far healthier. I believe similar applies to organic babies = healthier and a human right. 'Wimyn are resourceful, brave, creative, powerful, wise, holy. What one womyn can do, all wimyn can do. If you cannot manage organic, just do your best. It is NOT about moral superiority, a competition. 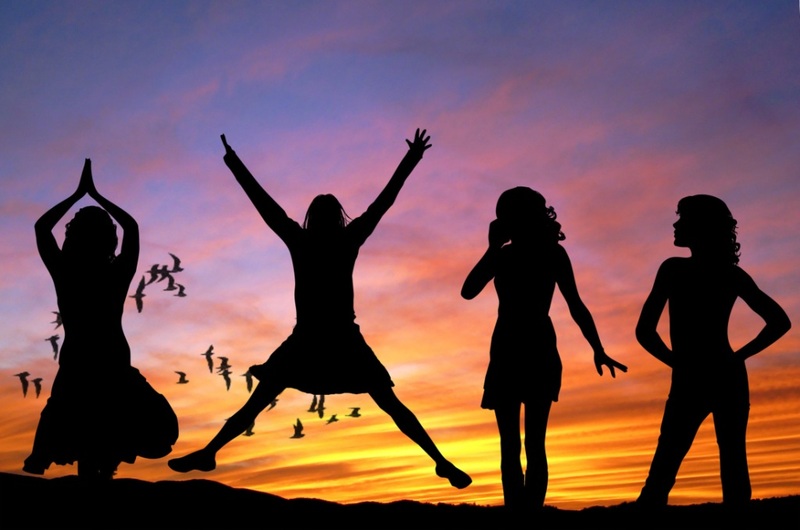 Society is not set up to support women, so it is about doing what you can, free from guilt or shame. HomeBirth - The Power of One by Sister MorningStar. 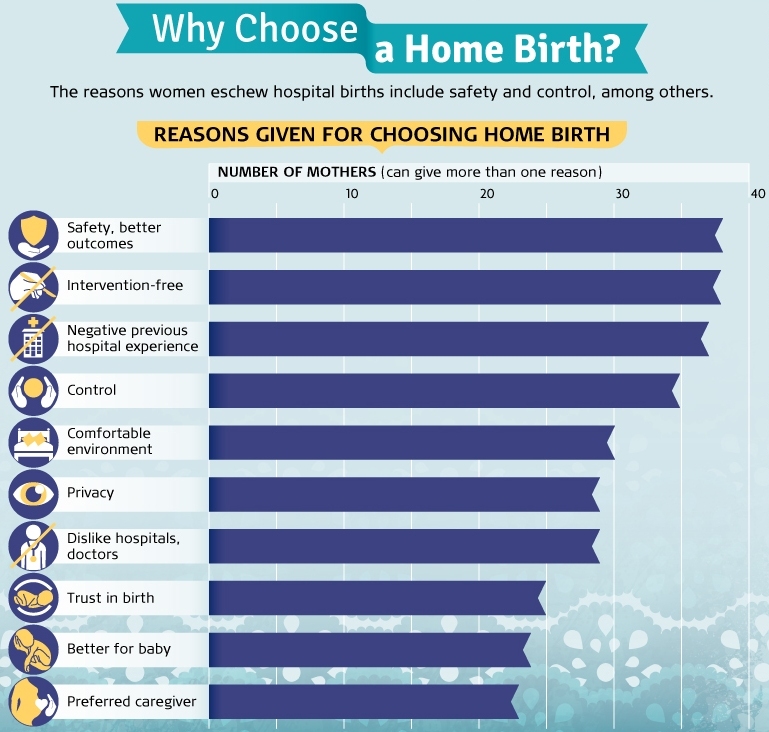 15 Homebirth Midwife Questions by Peggy O'Mara. Unassisted Childbirth book by Laura Kaplan Shanley. Unassisted Childbirth website by Laura Kaplan Shanley.